Stamford, Connecticut, U.S.A. - A 76 year old Roman Catholic Bishop, Bishop Zeng Jingmu of Yu Jiang, Jiangxi, was arrested again by the Chinese Government at 6 AM on October 4, 1995. He has been in bad health and now detained at the Chong Ren detention center. Official charges are unknown. a) On the eve of the feast of Assumption on August 14, 1994, there were beatings (some with electrically charged batons) and arrests of the Roman Catholic faithful in order to stop them from congregating for a prayer service on a mountain top. 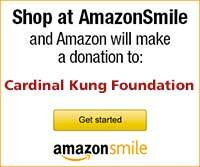 Bishop Zeng Jingmu himself was also arrested at that time, but was released a few days later. b) Another mass arrest of 30-40 Roman Catholics was made during this Easter season April 13 to April 19, 1995. Four persons were sentenced from two to five years in prison. Fourteen of the arrested were fined 900 Chinese Yen, the equivalent of almost six-months income for these poor villagers. Two persons were beaten so severely that they were unable to feed themselves. c) Rev. 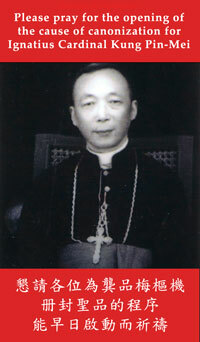 Liao Haiqing, A Roman Catholic priest, was arrested on August 4, 1995. Mr. HUANG Tengzong, a Roman Catholic layman was arrested on August 6, 1995.
a) Bishop Han Dingxiang, Bishop of Yong Nian, Hebei was arrested on Aug. 27, 1995. Three bishops are now confirmed in Chinese prisons simply for practicing the Roman Catholic faith. They are Bishops Li Hongye of Luoyang, Han Dingxiang of Yong Nian, and Zeng Jing-Mu of Yu Jiang. b) On February 23, 1995, a Roman Catholic layman Mr. Sun Guofu was arrested. He was later tortured. c) On April 17, 1995, Rev. Chi Huitian was arrested, because he refused to cancel his Easter Mass. d) On November 3, 1994, Rev. Qin Guo-Liang, S.J. was arrested and was sentenced to 3 years. These arrests show a pattern of organized assault on the underground Roman Catholic Church. We appeal to the Chinese Government to release all these prisoners of conscience immediately. As a member of the United Nations, China should abide by and uphold the United Nations' charter to guarantee freedom of religion for all citizens, not only for those members who belong to the government established Patriotic Association. The U.S. government and other freedom loving countries must not ignore such repeated and blatant violations of human rights. When these governments negotiate with the Chinese government, it is important to keep in mind that a country which violates a basic right of its citizen is most unlikely to honor its promises to other nations. The U.S. government and all freedom loving countries must press Beijing to stop these assaults on religious freedom and to challenge Beijing government to demonstrate that it can be a responsible member of the international community.